When schedule a sport match, people usually use phone or social network to invite friends, however, the problems such as when or where to play, not enough number of players sometimes prevent us to play the game we want. 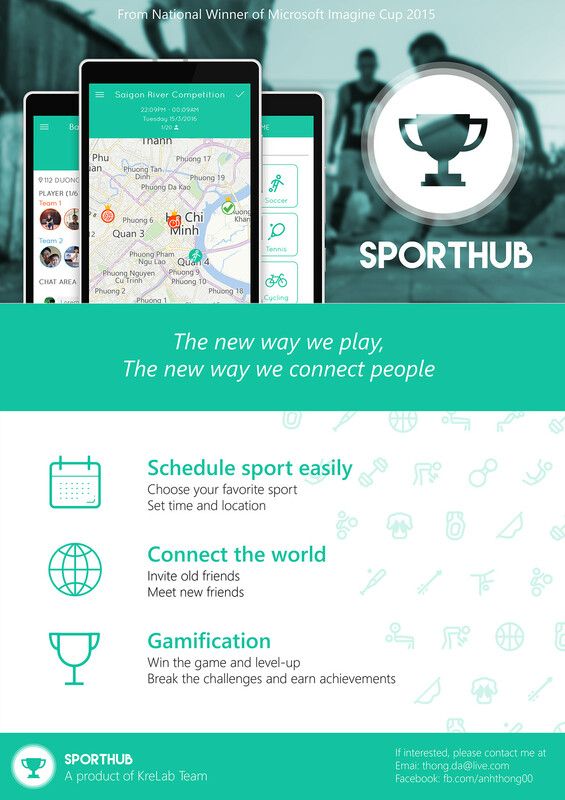 Basically, SportHub is a platform that helps us schedule sport matches easily and build up the gamification system through the matches. The idea was too ambitious since we didn't have enough experience to make it happen, what we have is only the concept and the prototype.